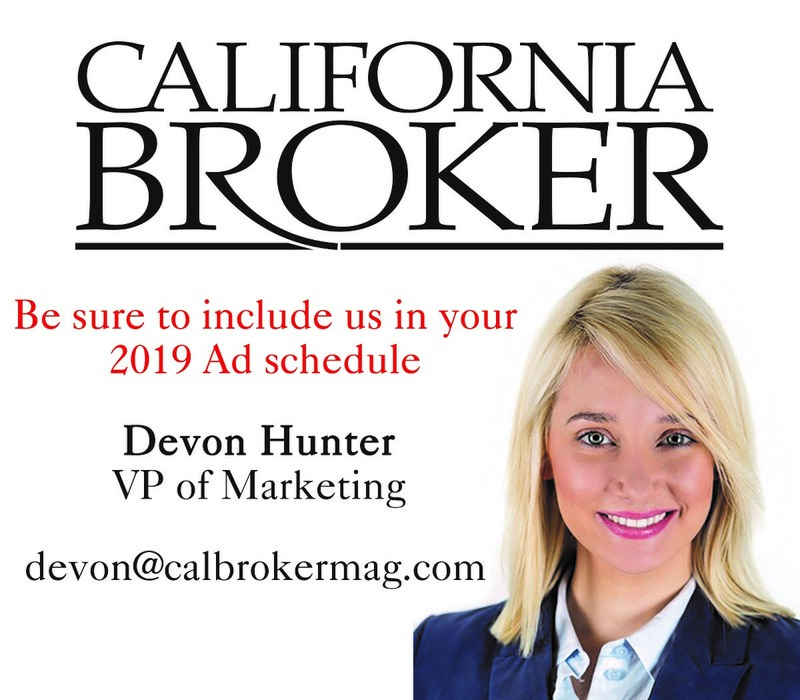 Sneak Peek: Cal Broker 2019 Editorial Calendar! 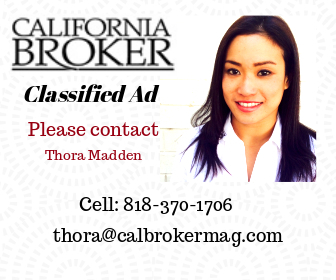 We’ve just put the final touches on California Broker magazine’s 2019 media kit and editorial calendar. And we have so much in store for next year! The Washington Examiner reports that a group of House Republicans, several in tough re-election races, introduced a resolution calling for pre-existing conditions to be protected amid attacks from Democrats that the GOP is endangering the protections with ACA repeal efforts. The “sense of the House” resolution was introduced by Rep. Pete Sessions, R-Texas, and 18 other lawmakers. The resolution discusses the need to uphold pre-existing condition protections and says that any replacement of the ACA should let states get “broad authority to reform their individual health insurance markets.” In addition, it says that any reform must ensure that individuals with pre-existing conditions get lower premiums, lower out-of-pocket costs, and accessibility to in-network providers. According to the Washington Examiner, the problem for Republicans is that much of the infrastructure of ACA, which would need to be repealed to create an alternative, exists to support the ban on pre-existing conditions. California-based general agency LISI Inc., announced it has partnered with BenRevo to simplify the large group process from RFP through presentation. BenRevo connects carriers, brokers, and customers on a common platform, reducing the time and work it takes to get a quote. 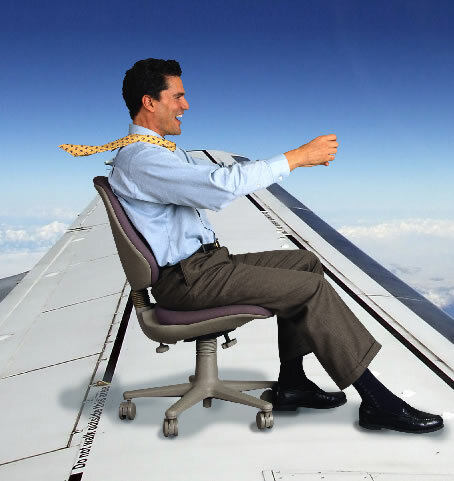 Advanced analysis tools also make it easy to compare quotes from multiple carriers. Visit LISI for more information. As open enrollment approaches, CMS announced its upgraded the Medicare website. Medicare Administrator Seema Verma said new features include a brief questionnaire to help seniors decide between original Medicare and Medicare Advantage, an online calculator to help estimate out-of-pocket costs, a webchat option and a simplified login. Inadequate internal controls at IRFs that failed to identify and prevent inappropriate admissions. Inadequate Medicare Part A FFS prepayment reviews for IRF admissions. Ineffective educational efforts and post-payment reviews at Centers for Medicare & Medicaid Services that haven’t controlled increasing improper payment rates reported by Comprehensive Error Rate Testing (CERT) since the 2013 audit. Administrative hearings for IRF appeals that did not always include CMS to ensure that Medicare requirements were accurately interpreted. Educate IRF clinical and billing personnel on Medicare coverage and documentation requirements and work with providers to develop best practices. Increase oversight for IRFs, such as post-payment medical review. Work with the Office of Medicare Hearings and Appeals to ensure that Medicare coverage and documentation requirements for IRF care are fairly represented at administrative hearings. Re-evaluate the IRF payment system, which could include a demonstration project requiring preauthorization for Medicare Part A FFS IRF stays modeled on Medicare Advantage practices. A recent online snap poll conducted by MDRT reveals that financial advisors are doing their jobs when it comes to educating clients. A full 76 percent of Americans with a financial advisor said they felt at least moderately comfortable explaining the implications of higher interest rates (compared to only 55 percent of Americans without an advisor). Two thirds (66 percent) of survey respondents who have a financial advisor said that working with their advisor has increased their understanding of interest rate hikes. Sixty-seven percent of respondents without an advisor said they believed working with a financial would increase their understanding of interest rate implications. 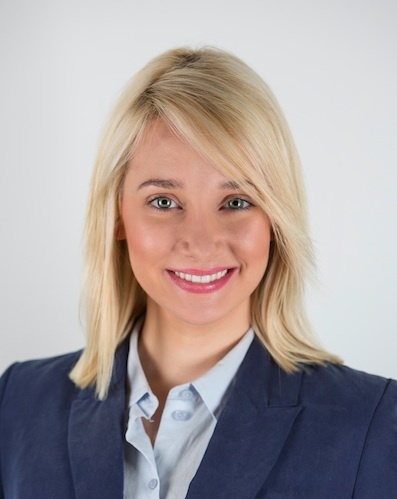 IRA Resources Becomes IRAR Trust Co.
La Jolla-based IRA Resources, Inc., a self-directed IRA firm, announced the approval of IRAR Trust Company, its own self-directed IRA custodian chartered in South Dakota. IRA Resources is now IRAR Trust. IRAR Trust will act as a custodian for self-directed retirement plans investing in alternative assets including: real estate, private placements, LLCs, real estate notes, and other assets not available through brokerage houses and banks. Whether you’re starting an agency or selling your agency, Cal Broker contributor Ron Stock of Beta Benefits has you covered. Beta is offering “Create Your Own Agency, Corporation, and Succession Plan” and “How to Sell Your Agency.” This is critical information for independent agents. For more info or to register, email Jesse at Beta: jesse@betabenefits.com. Accident insurance provides a fixed lump-sum payment following a covered accidental injury, and related medical services such as emergency room, surgeries or follow-up care. Critical illness insurance provides lump-sum benefits, when specific illnesses are diagnosed including invasive cancer, heart attacks and strokes. Hospital indemnity insurance provides fixed per-day benefits for inpatient hospitalization caused by, or contributed to, an accident or sickness. Wellthie, a provider of next-generation technology solutions for brokers and insurance carriers, announced a partnership with OneDigital Health and Benefits. Through this partnership, OneDigital’s team of consultants nationwide will be able to utilize Wellthie’s national small group benefits marketplace to provide better access to employee benefits for small business clients. 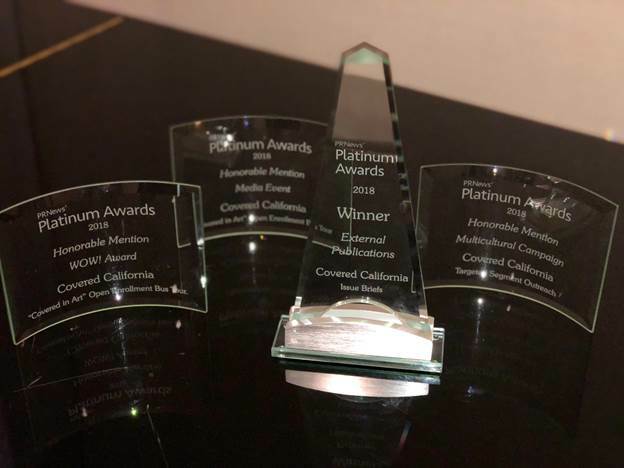 Covered California was honored last week for its public policy research, studies and reports on the Patient Protection and Affordable Care Act at the PR News Platinum Awards, a national contest recognizing outstanding public relations efforts. The 2018 PR News Platinum Award winners set industry benchmarks for excellence across all areas of communications. Entrants include U.S.-based and international public relations agencies, corporations, nonprofits, associations and government organizations. Covered California was recognized as the top organization in the External Publications category and received honorable mention in three other categories: Media Event, Multicultural Campaign and the WOW! Award. In the External Publications category, Covered California was honored for its “issue briefs” – a series of studies, reports and analyses – which highlighted the agency’s experiences and lessons in implementing the Affordable Care Act. These reports addressed the implications of federal policy changes, the benefits of legislative and administrative changes being considered at the state and federal level and the value of marketing and outreach. The issue briefs and reports illustrate key elements of Covered California’s approach to creating a successful competitive marketplace in California, where the rate of the uninsured has been cut by more than half since 2013, and premiums for those who do not receive subsidies have increased by only modest amounts over the past four years. Covered California was recognized in three additional categories. Two nominations were for the Media Event category and the WOW! Award for the agency’s outreach and education work during the “Covered in Art” bus tour and mural campaign. The statewide campaign promoted enrollment and illustrated that health care is part of the fabric of every community in California. Covered California worked in partnership with its public relations contractor, Ogilvy, on the tour, which took place between Nov. 1, 2017, and Jan. 31, 2018. Covered California’s in-house communications team was also recognized in the category of Multicultural Campaign for its targeted outreach and media activities to reach Latinos, African Americans, Asian/Pacific Islanders and LGBTQ communities throughout the state. Overall, Covered California competed with nationally known public relations firms that represented companies such as Intel, 21st Century Fox, HP and Kentucky Fried Chicken, among others. Americans for the Arts, the nation’s leading nonprofit organization for advancing the arts and arts education, has named Standard Insurance Company to the BCA 10: Best Businesses Partnering with the Arts. The Standard joined nine other companies to receive the honor at the Central Park Boathouse in New York City this week. Each year, Americans for the Arts honors 10 U.S. companies and one individual for their exceptional commitment to the arts through grants, local partnerships, volunteer programs, matching gifts, sponsorships and board membership. Senator Jeff Stone will speak at the Desert Cities Association of Healthcare Underwriters October meeting. More info at DCAHU.org. The Insurance Industry Charitable Foundation announced the 2018 Week of Giving will be October 13-20. Registration for nonprofits and volunteers is now open. Check out IICF Week of Giving for more info. Life Insurance Direct Marketing Association is the life insurance industry’s most focused gathering of high performance direct response marketers, producers, underwriters and service providers who are driving positive changes in the distribution of life insurance in order to benefit middle market consumers. Attendance at the LIDMA Fall Meeting & Showcase is available only to LIDMA members. This year LIDMA is also offering a discounted annual membership fee for first-time producers for $495, which is half off. Information on the various membership categories and pricing is available at www.lidma.org. Come hang with Crypto Bobby, Ready Set Crypto, the Crypto Street Podcast crew and many more. This event’s focus will be on investment and how to take your gains to the next level in the current market. Register now for the early bird rate of $97. More info here.